as the first Rabbi since the shul’s inception. Additionally, Rabbi Donath is on the limudei kodesh faculty of Ma'ayanot Yeshiva High School for girls, where he teaches Tanach and other Judaic Studies subjects. He has previously been a Rebbe at Yavneh Academy and Torah Academy of Bergen County (TABC). He is a member of both the RCA and RCBC. 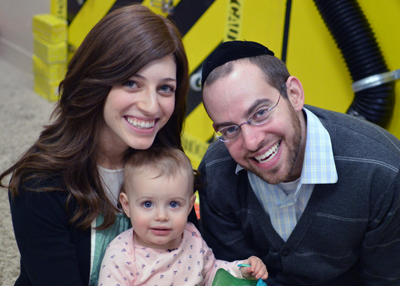 Rabbi Donath and Shira are the proud parents of their adorable children, Yael Tova, Leora Malka, and Shmuel David. Shira Donath serves as the rebbetzin and Yoetzet Halacha of Congregation Darchei Noam. Shira also teaches AP Psychology and Women in Halacha at Ma’ayanot Yeshiva High School, and frequently teaches kallah classes, as well. Shira is a graduate of Nishmat's Miriam Glaubach Center's US Yoatzot Halacha Program and Stern College for Women, where she received a B.A. with a major in Psychology and minor in Business and Management. Prior to attending Stern College, Shira studied at Michlalah Jerusalem College in Israel for a year and a half. Shira aims to combine her background in psychology with her training as a Yoetzet Halacha to provide the women of the community with a comfortable avenue for asking sensitive questions.